The American War of Independence, also called the American Revolution, or the American Revolutionary War, was fought from 1775 until 1783. Declaration of Independence: July 4th 1776. Lithograph, hand colored. N. Currier (Firm), created between 1835 and 1856. Library of Congress. Thirteen mainland colonies of British North America declared their independence on July 4, 1776, to form the United States of America. 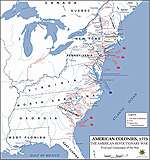 The War of Independence started as a civil war but soon became an international war when France, Spain, and the Netherlands joined the colonies against Britain. 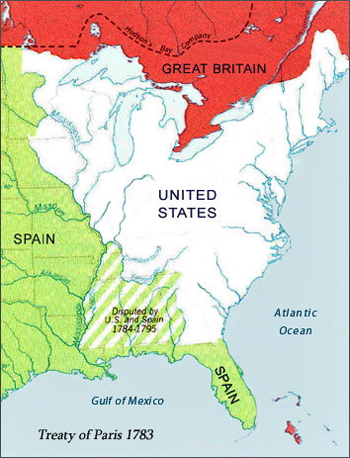 During the French and Indian Wars, Britain had spent quite some money for the colonies’ defense and attempted to get repayment. The colonies argued that Britain would have the right to impose taxes, so long as the colonies were represented in Parliament; therefore, taxation without representation was unacceptable. The tone became sharper on both sides and a boycott of British goods was discussed in the colonies. Unrest increased as colonial radicals purposely fueled the dispute to break with Britain. They argued that the Empire generally handled political and economical issues detrimental to their interest. The Boston Massacre in 1770 and the Boston Tea Party in 1773 were an indicator of the growing tension. 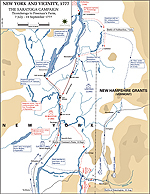 The Battles of Lexington and Concord on April 19, 1775, were the beginning of the American Revolution. To avoid armed rebellion, a British force came to seize colonists’ weapons at Concord, a town near Boston. 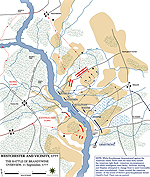 The colonists had been forewarned and intercepted the British at Lexington Green. 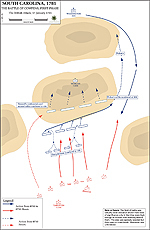 Shots were exchanged, and some Americans were killed. 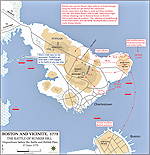 Arriving at Concord, the British were confronted and outnumbered by the colonial militia and had to withdraw to Boston while being attacked on all sides. 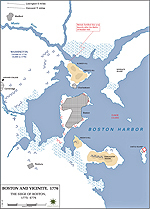 The Americans were ready to drive the British out of Boston and started the Siege of Boston. What Ended the American Revolution? 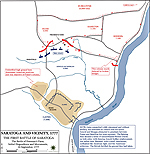 The last major battle took place on October 19, 1781. 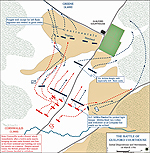 It ended with the surrender of British General Corwallis at Yorktown, Virginia. However, for all parties to negotiate acceptable terms required some time. 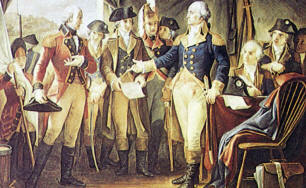 The American Revolution officially ended with the Peace of Paris 1783. 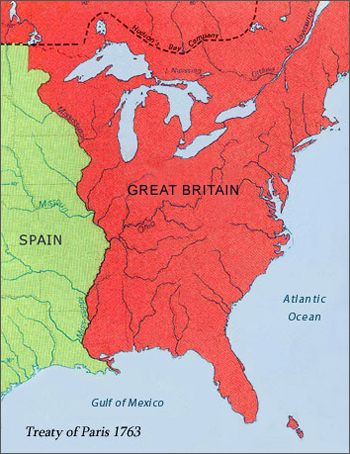 Great Britain acknowledged the independence of the United States, with the Mississippi River as the western boundary. Navigation on the river remained open to both nations. 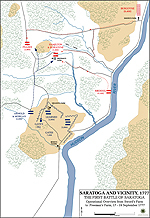 at Yorktown, Virginia, October 19, 1781. Estimates differ. Some historians say that the Revolution claimed a total of 25,000 lives. 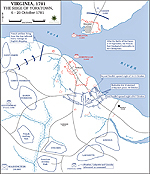 Others estimate American losses at 4,400, British losses 6,800, and German losses at 1,200. 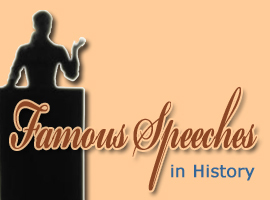 What Impact Did the American Revolution Have? 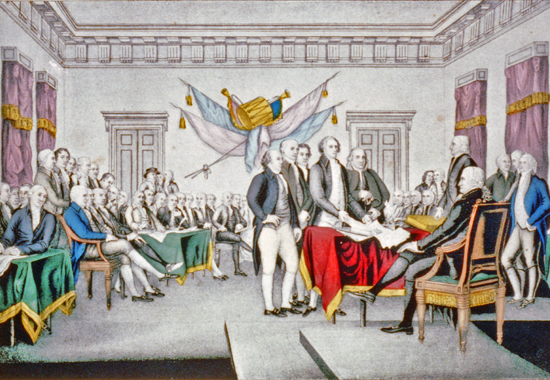 The American Revolution caused many Europeans to reassess their own government. The idea that a country actually could decide upon its government was exciting and appealed especially to those in lower social classes. 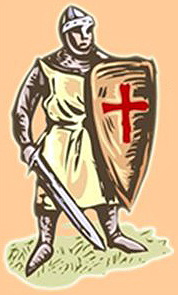 To remedy a lack of troops, the British hired the services of approximately 30,000 German mercenary soldiers. The majority of the Germans came from the German state Hesse-Cassel; thus they became known as the Hessians. How much did this war cost? Check the costs of major US wars in comparison. 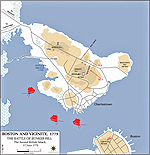 Trivia: Wee John Quincy Adams watched the Battle of Bunker Hill from the top of Penn's Hill above the family farm. 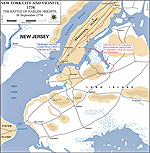 Colonists, led by John Stark, defeat the British, led by Friedrich Baum. Molly Pitcher might or might not have been the lady people today would love to believe. 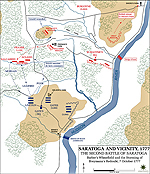 If she was, her real name was Mary Hays, married to William Hays, who fought in this battle. Mary might have been the good soul who carried water to the soldiers and maybe even shot at the enemy herself when her husband was wounded. Thayendanegea, aka Joseph Brant, was a notable Native American who fought in the American Revolution. A Mohawk Indian chief, he became a Christian missionary as well as a British military officer. This made sense because his sister Molly was married to Sir William Johnson, the British superintendent for northern Indian affairs. Spain decided the American Revolution was a good opportunity to take back Gibraltar from the British, who had occupied The Rock since 1704 (see War of the Spanish Succession). 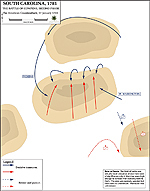 On June 21, 1779, Spain declared war on Britain and commenced the Great Siege of Gibraltar. 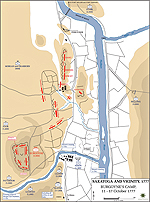 More than three years later, on February 3, 1783, the Great Siege ended. Britain kept Gibraltar (see Treaty of Versailles of 1783). 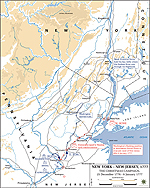 Britain didn't appreciate the trade that went on between the Americans and the Dutch, so they declared war on the United Provinces on December 20, 1780, thus starting the Fourth Anglo-Dutch War (1780-1784). 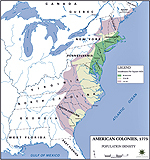 Peace was officially restored with the Treaty of Paris of 1784. French support was especially crucial to the American victory. Inspired by the American Revolution, the French started their own revolution shortly after. See more under French Revolution. 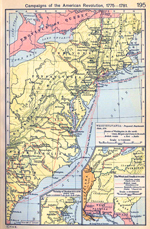 Regarding French aid to the Americans, see also Vergennes. And the 1783 peace treaty between Great Britain and France was the Treaty of Versailles. See also what is sometimes called America's Second War of Independence, the War of 1812. And maybe, the American Timeline.